The benchmark roadster is 20 years old but will a new, smaller-capacity engine finally see it dethroned? Back when Britain was forming an allegiance with Oasis or Blur, a sports car revolution was quietly bubbling under the surface – one that would offer the average consumer a wider range of sporty machinery that didn’t require re-mortgaging the house to attain. Seemingly out of nowhere, the Mercedes SLK, the Audi TT and the Porsche Boxster all arrived on the scene, flaunting compact dimensions, impressive performance figures and not unreasonable price tags. 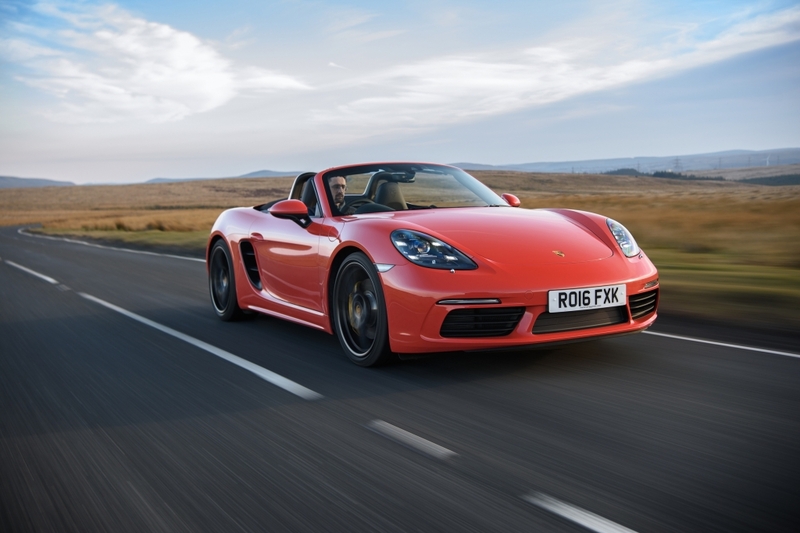 However, it was the almighty Boxster that emerged from the Teutonic scrap victorious, as its recipe of a six-cylinder powerplant placed in the centre of the car, pin-sharp handling characteristics and desirable looks won over petrolheads across the globe. Today, the mid-engined two-seater is still regarded as the benchmark roadster, a car that all other sports cars aspire to be. A machine that rival engineers revere due to its seemingly unending levels of grip, punters love thanks to its grin-inducing performance and that somehow manages to remain attainable if not completely affordable. 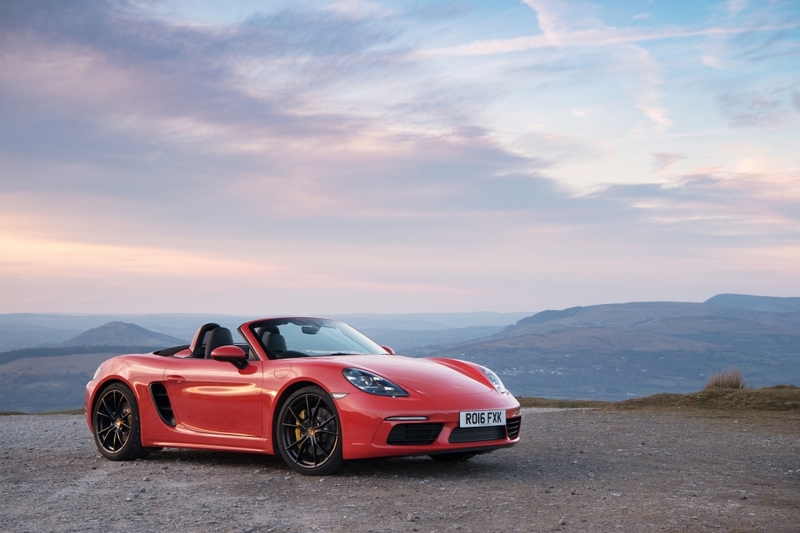 But there is now a new Porsche 718 Boxster in town and it has caused quite a stir with fans of the tried-and-tested recipe, mainly due to the fact that the beating heart of the model has been ripped out and replaced with a downsized, four-cylinder engine. Yup, you read that right. That’s a measly four-cylinders, rather than the howling flat-six of old. An engine so iconic, any blindfolded car nut could pick it out it from a line-up. The new model is also offered in 2.0-litre or 2.5-litre displacements (another dagger blow for Porsche purists) and it is now turbocharged for the first time in the model’s illustrious 20-year history. Of course, this was always on the cards, as the quest for lower CO2 emissions has forced the hand of many a manufacturer to downsize and turbocharge to beat ever tighter regulations. It’s a shame, because the car burns just as much fuel (if not more) than its predecessor when driven in real-world conditions, rendering the whole exercise a bit pointless. But let’s not dwell too much, as the rest of the package is simply superb. It might not look like it but only the boot lid, windscreen and convertible hood are shared with the previous generation car. Everything else has been tweaked, stiffened and reshaped to ensure the 718 Boxster, whose name is a nod to some very successful Porsche racers of the 1950s and 60s, performs better than its predecessor. Stylistic changes are subtle but they don’t go unnoticed. The front end is wider, with larger cooling air intakes, while the nose hosts piercing new Bi-Xenon headlights with integrated LED daytime running lamps. Customers will also be able to specify optional four-point running lights similar to those found on the Panamera and Macan SUV. The general theme of steroid-based enhancement continues into the side profile, where more bulbous wheel arches, larger air inlet panels behind the doors and mirrors with aerodynamic cut-outs reside. It’s most definitely a Boxster, but stand it next to the first generation model and it looks like The Mountain is conversing with Stephen Merchant. At the back, new clear glass taillights sit on a widened rear end and large Porsche 3D lettering cuts an imposing figure on the panel beneath the 718 Boxster’s electronic spoiler, which automatically raises and lowers at speeds of around 75mph to aid downforce. Thankfully, the driving experience is still phenomenal, even if the slightly odd, off-beat burble of the four-cylinder engine makes it sound a bit like a Subaru Impreza. Climb into the low-slung body, settle into the cosseting sports seats, insert the stubby key into the ignition and slot the beautifully mechanical manual gear shifter into first. Pile on the revs, dump the surprisingly heavy clutch and prepare to rocket from standstill to 60mph in 4.9 seconds in the standard model, or 4.4 seconds in the more powerful 2.5-litre ‘S’ variant. Opt for the ludicrously quick-shifting PDK automatic transmission and you can expect to shave 0.2 of a second off those times. 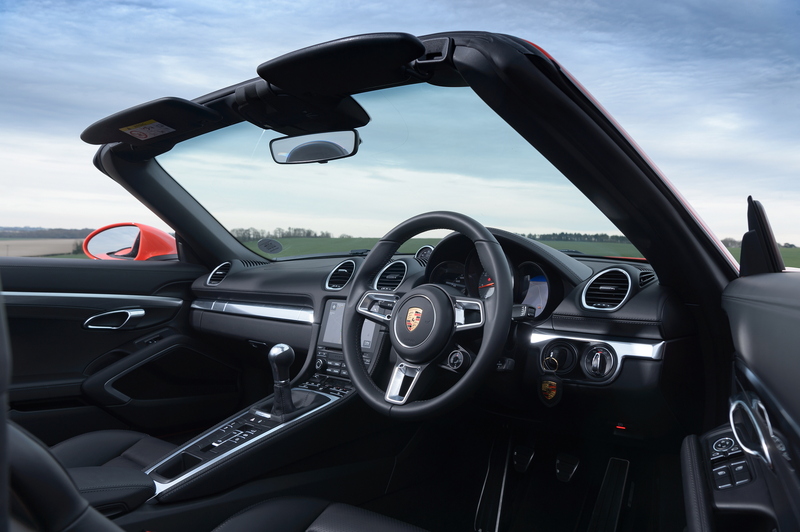 The 718 Boxster is unmistakably a Porsche product and the revisions to the chassis, including strengthening the rear subframe for improved lateral rigidity and revised tuning of the dampers, means it handles better than ever. This is one seriously sweet car to drive. The steering has also been stolen from the 911 Turbo, meaning the electromechanical set-up is 10 per cent faster than before for more precise handling and better feedback. 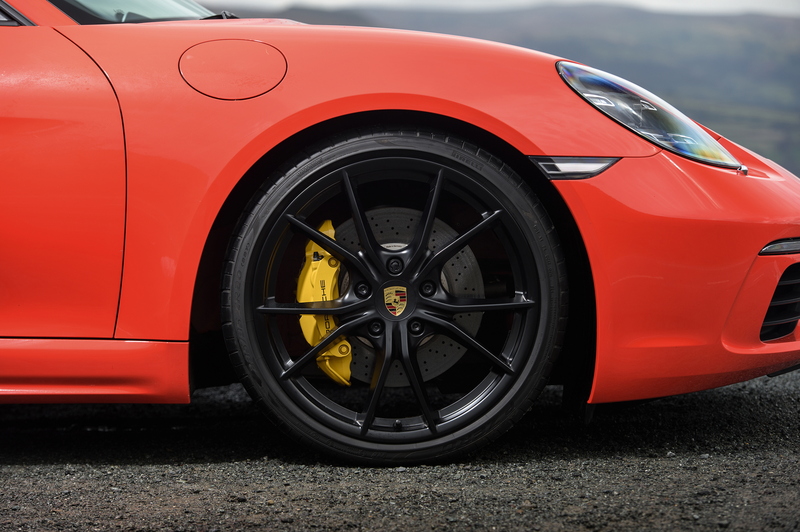 The standard steel brakes are so strong they make the expensive carbon ceramic options a little pointless while the Porsche Stability Management (PSM) system now features a ‘PSM Sport’ mode that allows for a little bit of slip and slide without causing pants to be stained. It’s phenomenal on both road and track and either engine is equally adept at causing spontaneous whoops of delight from the driver, while the car remains comfortable and practical enough (it has two boots, after all) to use every day or tackle longer road trips. Performance is blistering and the added torque is immediately apparent from behind the wheel, while feedback from the controls is still as good as ever, but it is very difficult to ignore the rough and displeasing sound emanating from behind the driver’s head. It may seem like a minor point, but for some it will most certainly tarnish the experience. 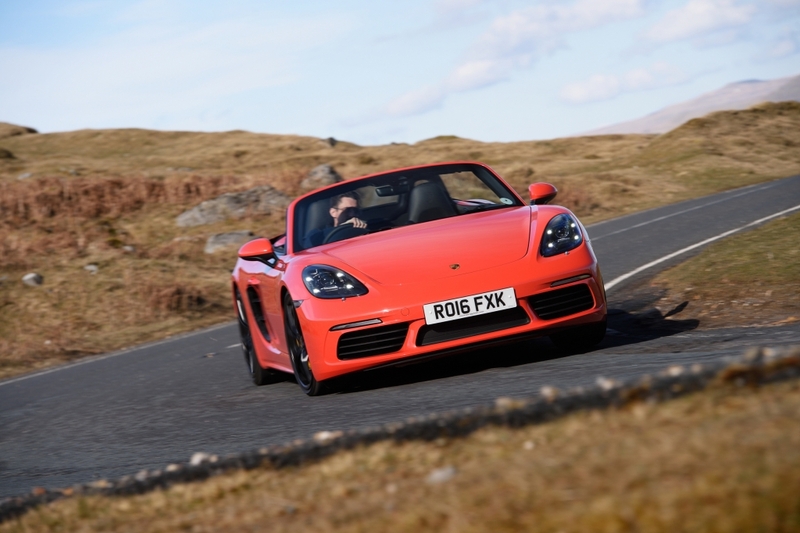 Which is a shame, because the Porsche 718 Boxster is still by far the best car in its class.